A wordpress site. 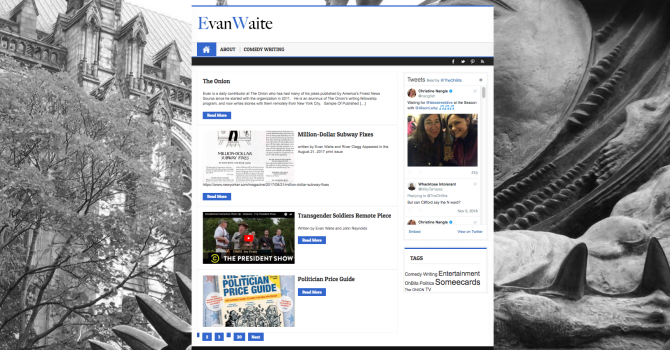 Using a theme, I customized the site for comedy writer client, Evan Waite. 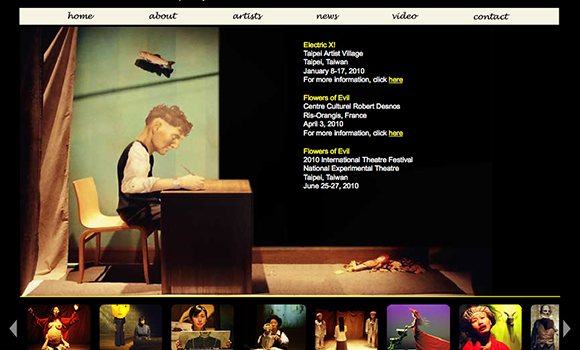 A website for an avant-garde theatre company. A website for THEE BEST HANDS, an international poker chair massage company. Logo & branding work. Click here to see the website. A website for a Flying Wong Productions film Wong Flew Over the Cuckoo’s Nest. Click here to see the website. 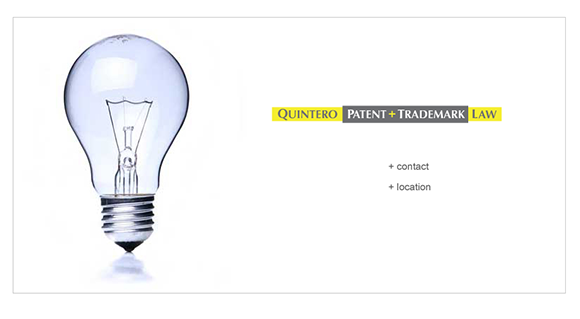 This site has been updated by another designer.